Who will care for my baby when I return to work? For new parents, determining who will care for their child is one of the most stressful decisions they have to make. While a nurturing and stimulating environment is one of the most important factors to consider, many are quickly confronted with the challenges of cost or simply finding available space in a child care center. Having access to a robust supply of high‐quality licensed child care near their home or workplace is an essential support for working parents. To better understand the availability of center‐based child care for children under age 3, ACNJ conducted a survey to examine the supply of available slots compared to the number of these children likely to need care because all parents work. 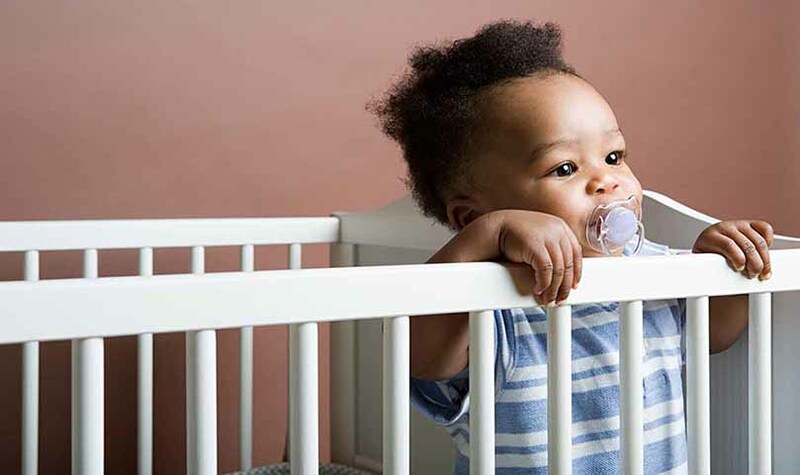 To get a front‐line view, a focus group was held for directors of centers to discuss the challenges and the supports needed to provide high‐quality child care to infants and toddlers. Read the report to see the findings. 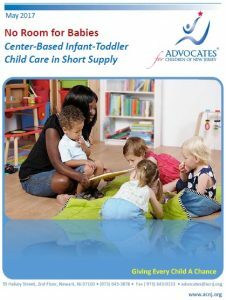 Download county-level fact sheets on center-based infant-toddler child care for every part of the state. View an interactive map of licensed child care centers that provide care to children under 3-years-old, with the option of filtering by participation in Grow NJ Kids, the state’s child care rating and improvement system.